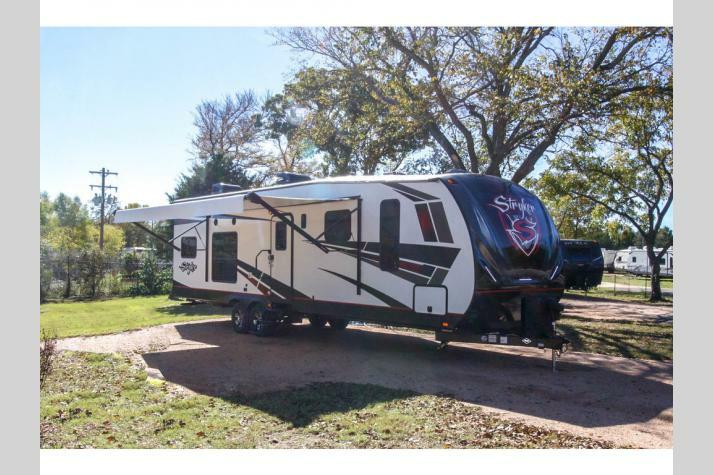 The toy hauler is an awesome choice for those looking for a towable that has a little extra space for bringing along your favorite gear. 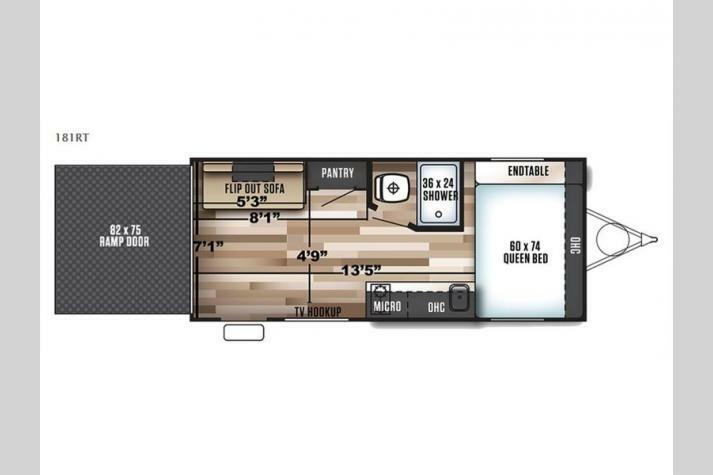 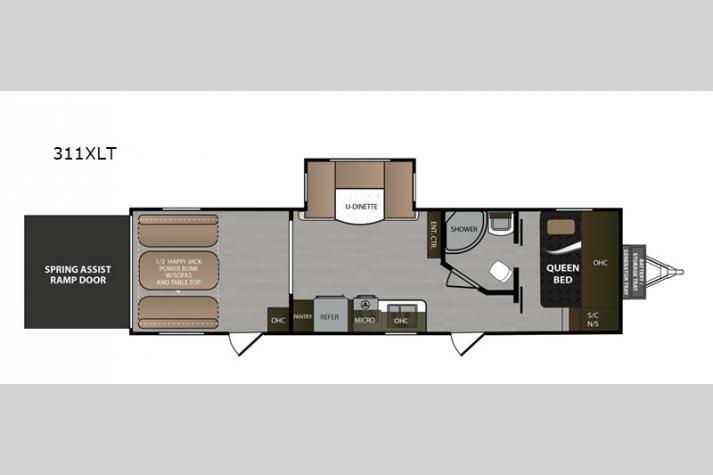 Depending on the brand and floorplan you purchase, a toy hauler towable can include just the basic necessities you need or feature luxury options like king sized beds, residential appliances, gourmet kitchens and all things in between! 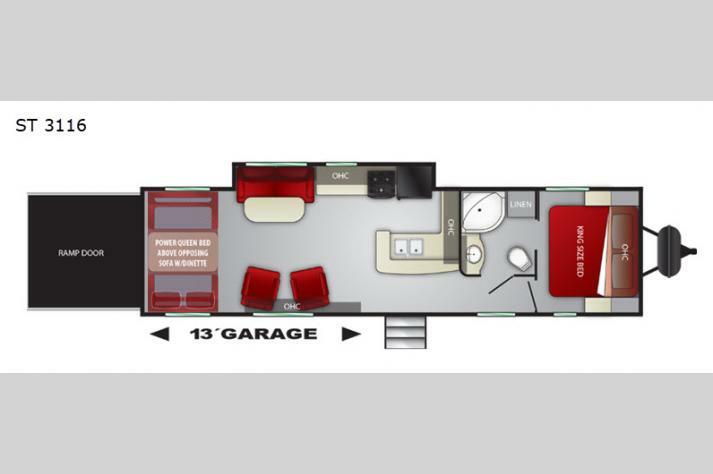 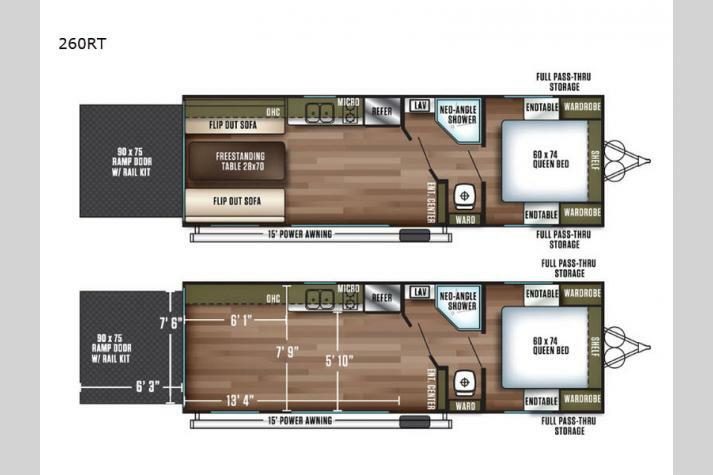 What is special about the toy hauler is that it also has an expansive garage area in the rear! 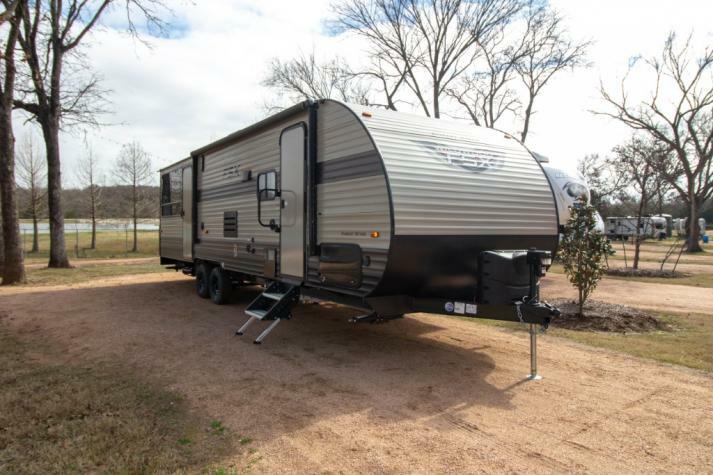 It doesn't matter if you are looking for an RV for short weekend getaways, or for true, blue, long-haul adventures with the whole family; one of our toy haulers for sale in Texas is sure to turn up the volume on whatever trip you have in mind! 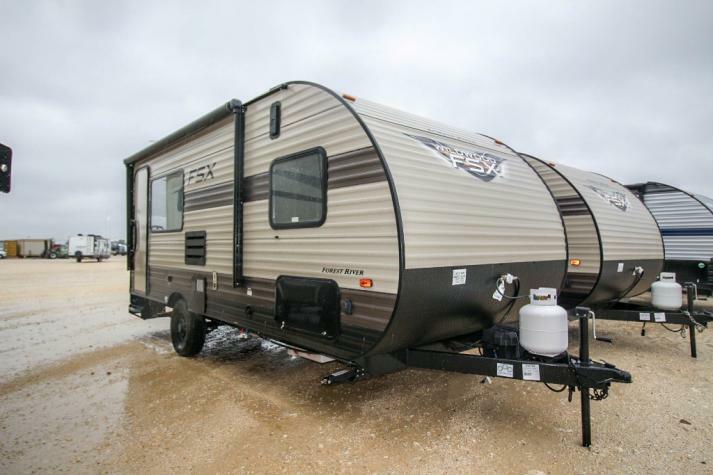 The toy hauler is an amazing RV for the avid adventurer, coming with plenty of space to bring your ATV, your jet ski, your golf cart, or even just your grill to make your next road trip truly customized to your camping preferences. 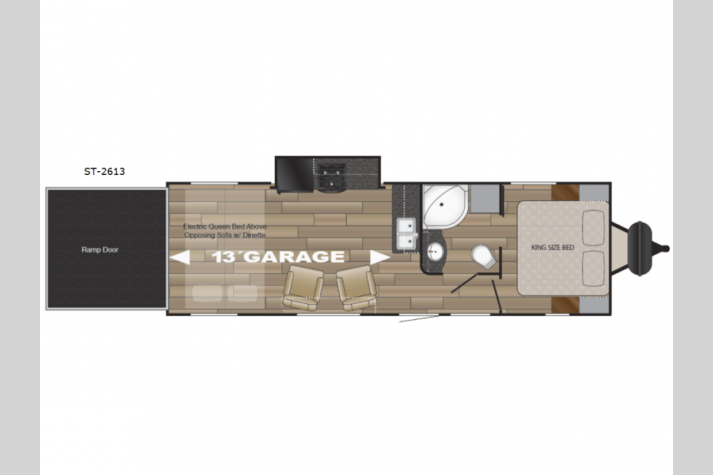 The toy hauler, or "toy box," as they are sometimes called, also has the option of turning the garage space in the rear into additional living space so that, when you get to your destination and unload, no square inch of your RV is wasted. 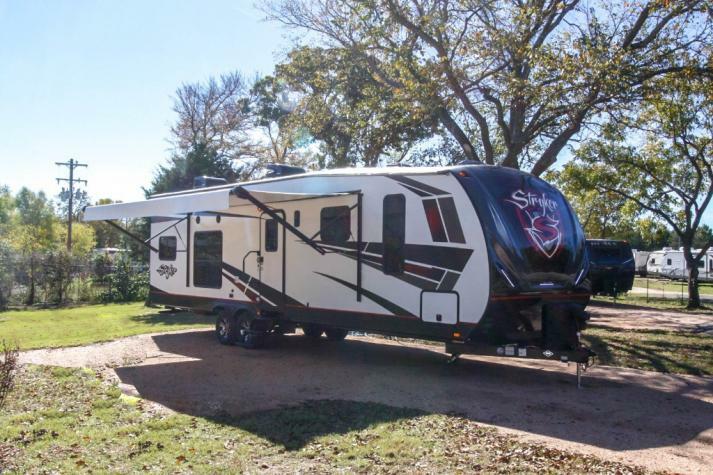 No matter if you love spending your time off on the lake or on the golf links, the toy hauler can turn a regular road trip into the vacation of a lifetime. 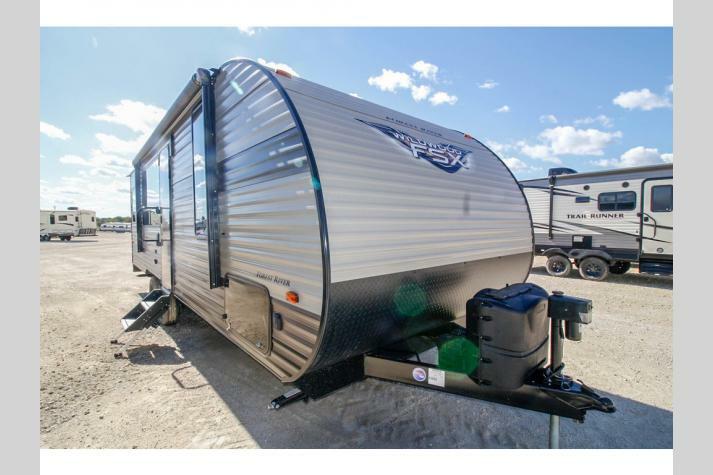 We carry a wide variety of fantastic toy hauler fifth wheels for sale as well as toy hauler travel trailer for sale so we can match you with whatever towable you have had your eye on! 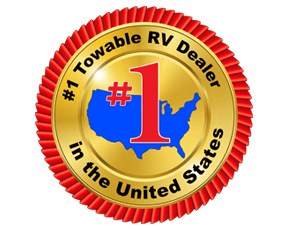 As the top toy hauler dealer in Texas, in the Cleburne area, we carry the top brand names of toy haulers that you will love! 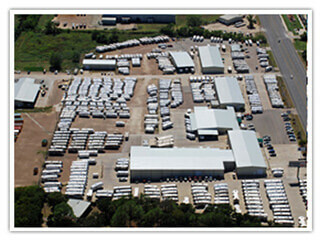 Check out our complete inventory of in-stock brands in the listing below. 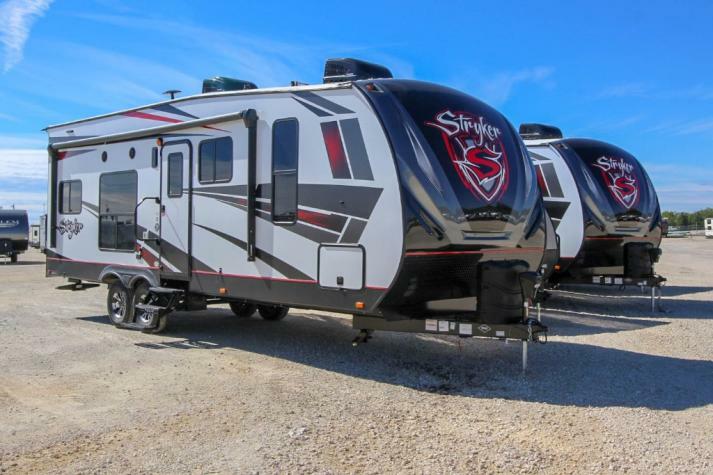 Remember that not all brands are available at all of our locations, so you can contact us to make sure that you are getting exactly what you are looking for.